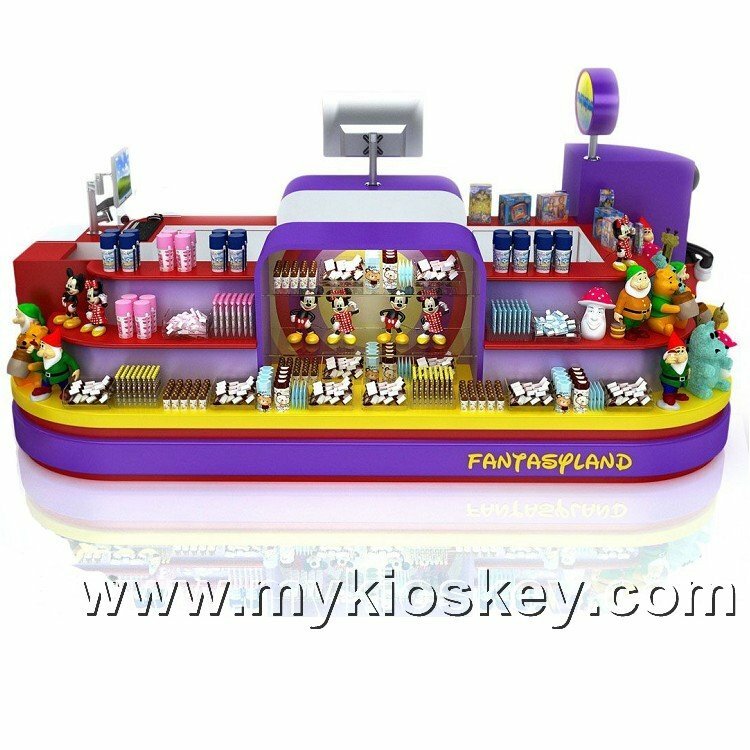 Have you ever think about renting a place in shopping center , open a toy kiosk for selling knickknack fairy toys ? Everyday you can see many parents take their kids to go shopping or hang out . Kids always has curiosity , if they discover something , they want it . Which means If your products are cute and lovely , I guess the business will be booming. 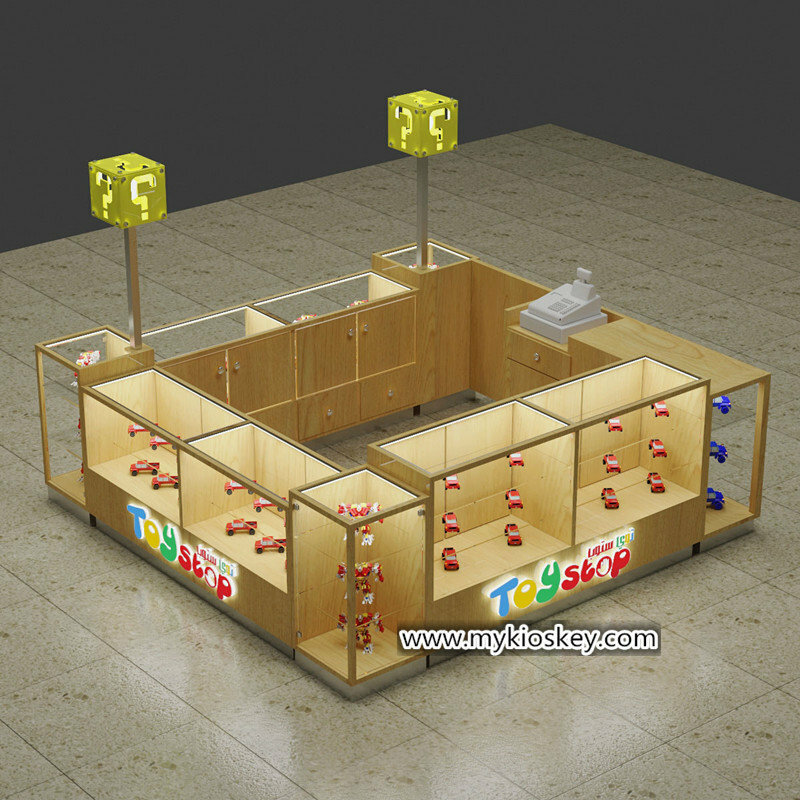 If you have plan to open toy kiosk in mall , share some designs for your reference. 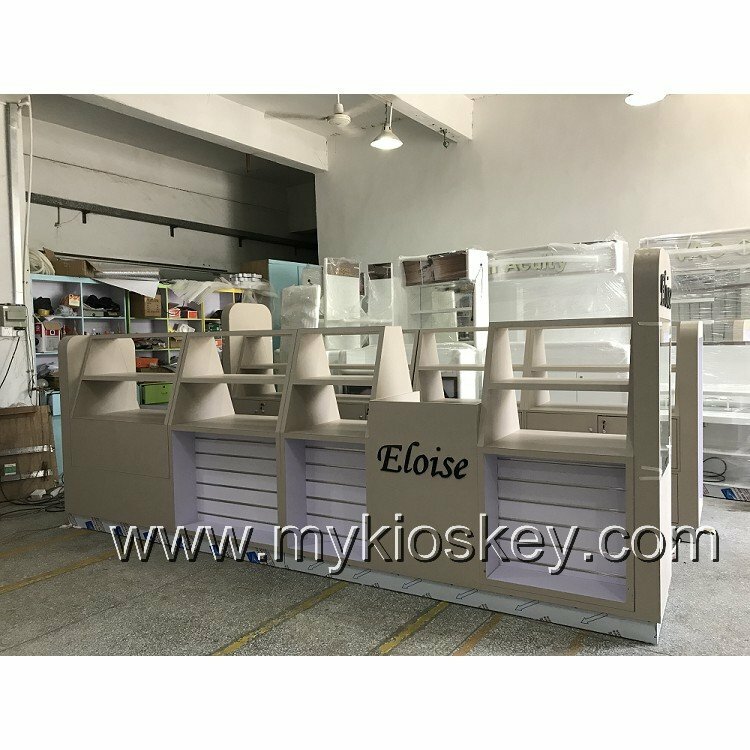 These kiosk designs are using MDF with baking paint . size area is about 10ft by 8ft or customize . 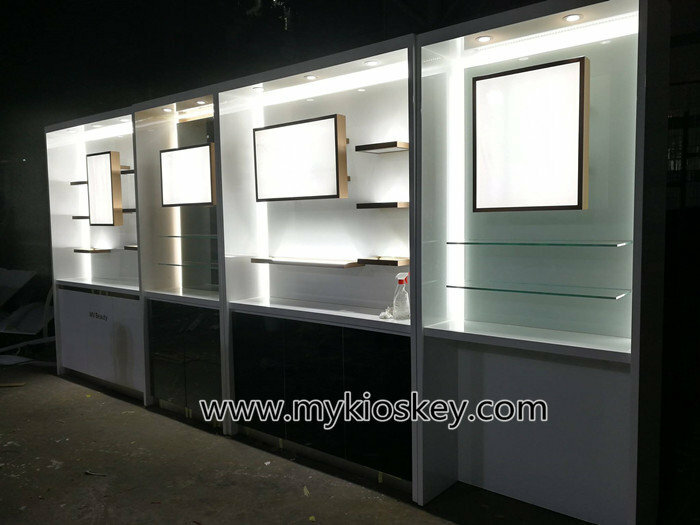 As you see , there are 3 different style , First one is closed kiosk , clients can’t go inside . But all sides are display shelves for toys , doll . 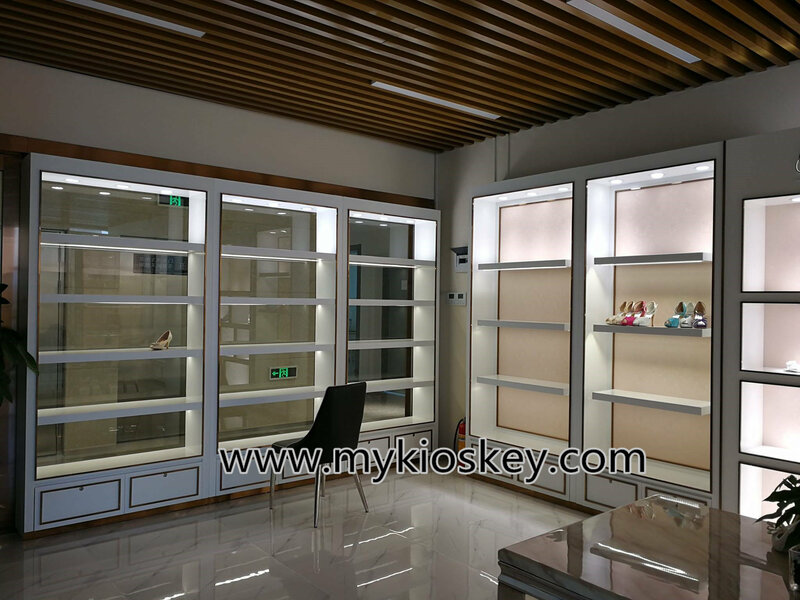 Inside has plenty of storage cabinets for item stock. 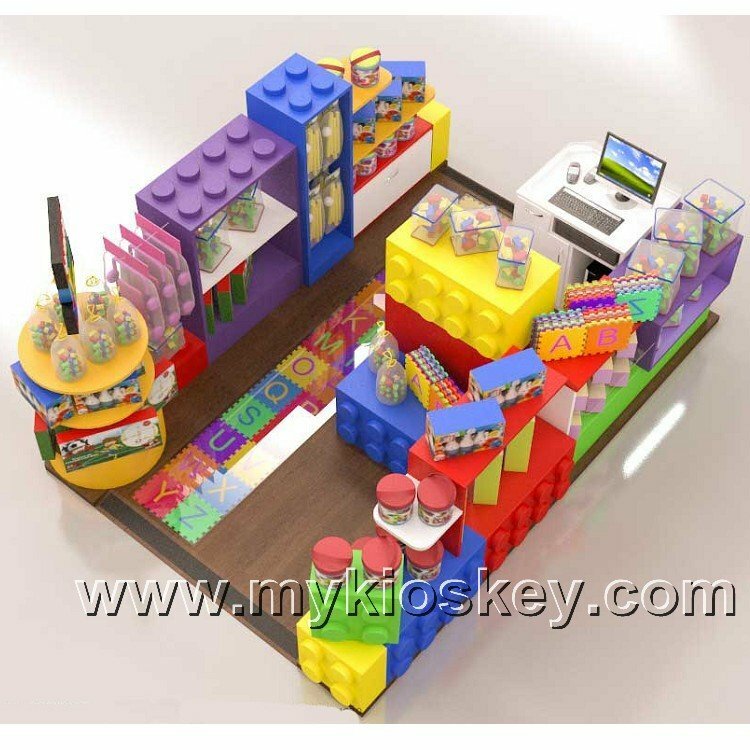 Second kiosk is open style , the toy kiosk main tone is colorful . 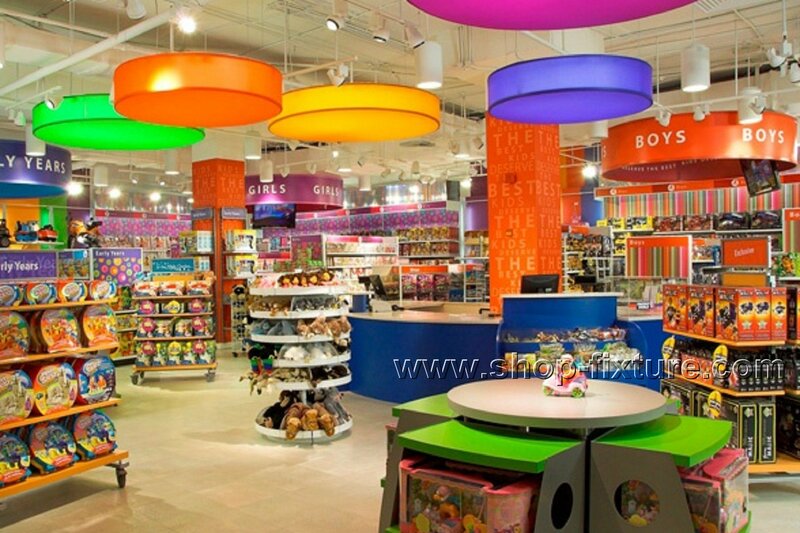 Children can go inside and pick their favourite toys . 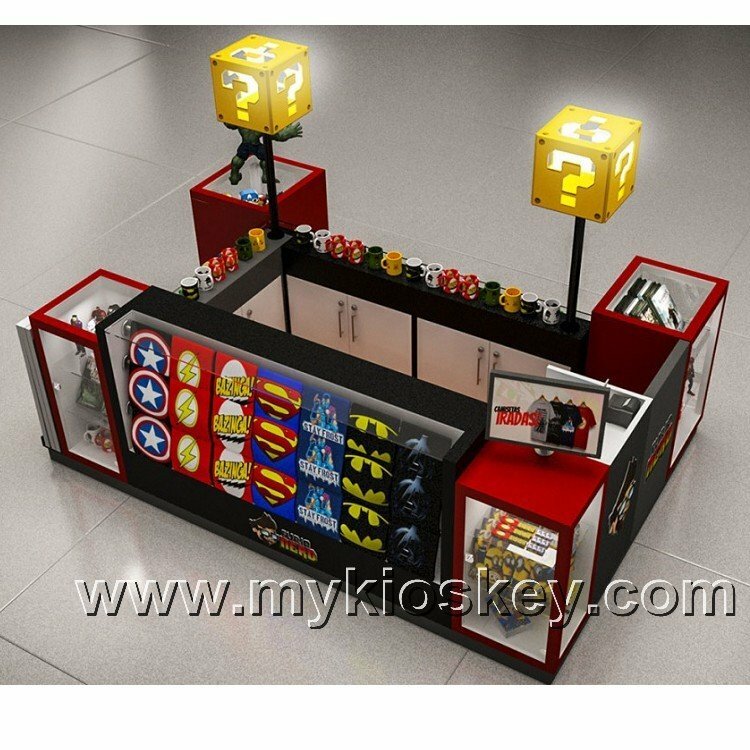 Third kiosk is similar to first one , but the shape is different . 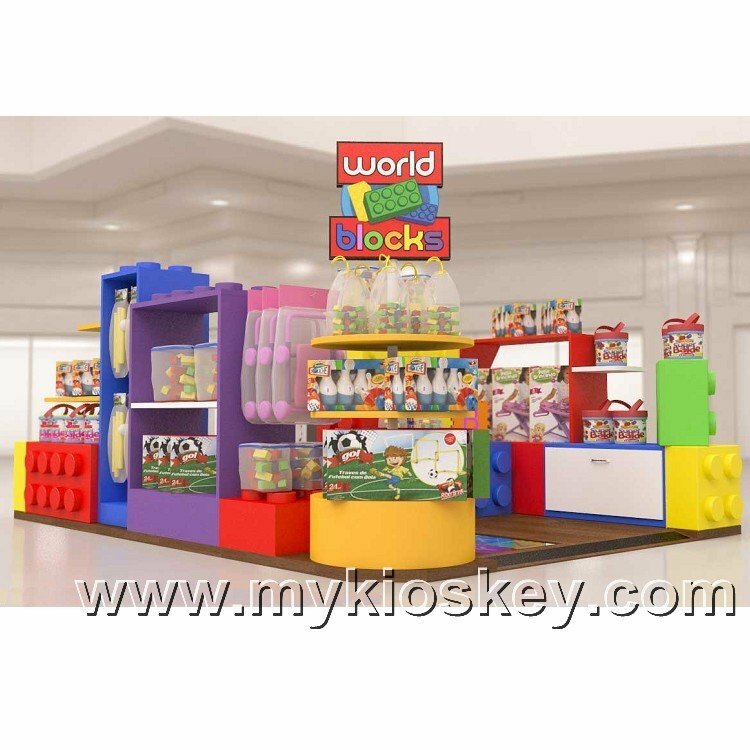 Each sides has 3 layer shelfs for toys display . 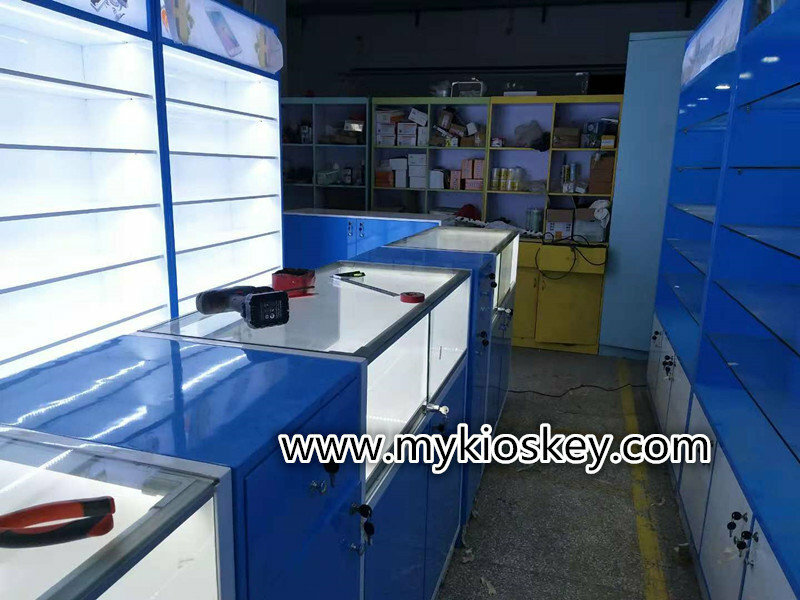 Meanwhile inside has a cashier counter and many cabinets . 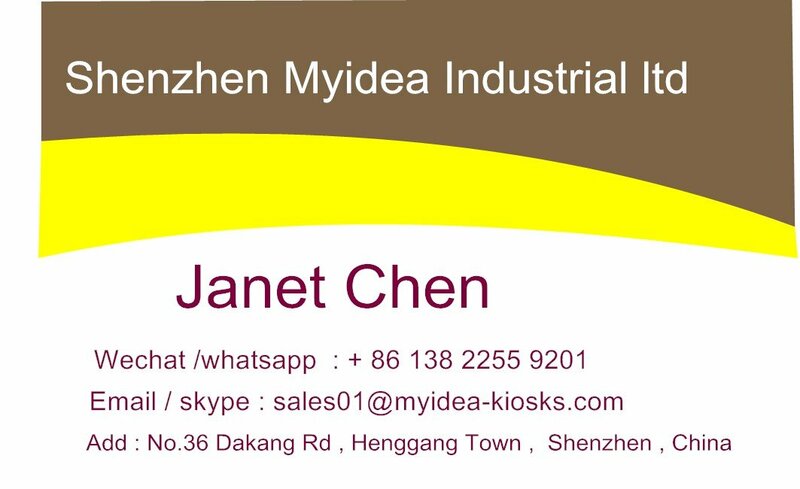 How to order a kiosk ? pay $300-$400 for 3d design . 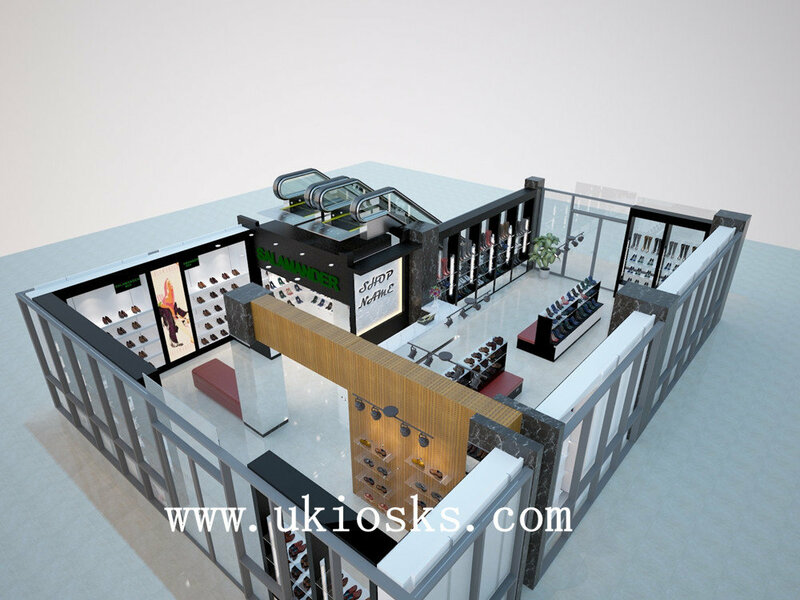 our designer start design for u .
discuss and modify design to meet mall request . finalize design and quote price. agree with price and pay 50% deposit before production . pay balance before shipment .